In fact, I’m pretty pissed off about this week’s news that the Marvel Universe as we know it coming to an end. The 616 Marvel U is being smashed into the 1610 Ultimate Marvel Universe to form the basis of a new Marvel Universe once Secret Wars is over. And it looks like this may be the dreaded Marvel reboot that the longtime fans have feared for years. Yeah... I don’t want that. At all. I understand the ridicule that comes with being a grown man who loves superhero comics. But I am so far past caring about that at this point. I’ve loved superhero comics my entire life, but I’m more of a Marvel guy than a DC guy. DC has a lot of amazing and iconic superheroes, but I’ve always identified more strongly with the Marvel characters. Marvel also had the advantage of never having a reboot. At least, not a complete reboot. Every few years, Marvel creators tend to retcon out some aspect of its backstory that no longer makes sense in a modern context. That’s why Tony Stark now became Iron Man in Afghanistan instead of Vietnam. That’s why Mr. 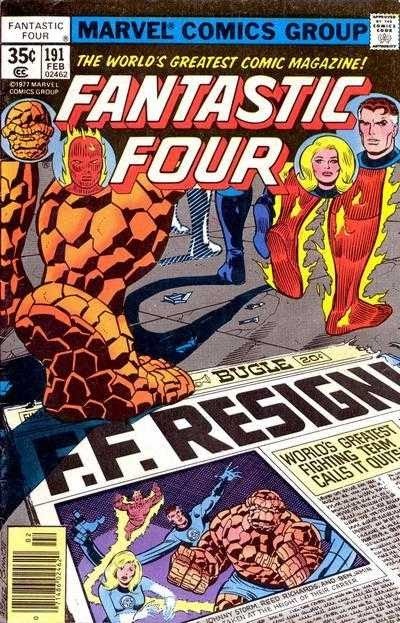 Fantastic and The Thing weren’t actually World War II buddies with Nick Fury once the ‘70s and ‘80s happened. It’s a rolling timeline, and fans came to accept that because it meant that most of Marvel’s history was intact. We could overlook the fact that decades of stories were being condensed into an unrealistic ten to fifteen year time frame because it meant that our Marvel Universe never went away. For better or worse, everything in Marvel counted... unless it was unnecessarily retconned by later writers. Having come to DC Comics largely after Zero Hour, I didn’t feel the same way about Crisis on Infinite Earths and the big changes that it made to DC’s comics. But for the old school DC fans, it must have been like the gut punch that I felt when The New 52 jettisoned most of the non-Batman or non-Green Lantern stories. That’s the problem with dumping so much history for a reboot. I loved the DC characters just the way they were. However, I don’t feel the same connection to their new incarnations. They may look the same (with some newer costumes that are uglier than their old costumes), but they are most definitely not the same. That was one of the reasons I never really got into the Ultimate Universe beyond The Ultimates and Ultimate Spider-Man’s early years. The first 25 issues of those Ultimate titles felt like something fresh and special, which I largely attribute to Brian Michael Bendis and Mark Millar bringing something new to the table. However, at no point did I ever want the Ultimate Universe to supplant the Marvel Universe. If you were a comic fan 14 years ago, you may recall that as a constant rumor that never came to pass. Unless it’s happening right now. The thing that really bothers me about this is how unnecessary it is. It’s not like Marvel needs an excuse to slap a new # 1 on every one of their books. They do it almost every two to three years, and it’s rare for any title to hit # 50 in this era. As for accessibility for the fabled new readers, that was the initial goal for the Ultimate comics line. And it actually worked for a few years before it was bogged down by the weight of its own continuity. If they try that again now, history will only repeat itself. When Millar left the Ultimate books, the line never recovered. Bendis has kept Ultimate Spider-Man going, but the only thing still worthwhile in the Ultimate Universe is Miles Morales. That’s it. Do we really have to go through Secret Wars just to transfer Miles to the regular Marvel Universe? Because you know that’s gonna happen. Most of the Ultimate Universe’s greatest heroes have already been killed off (mostly by Jeph Loeb), and I was okay with that because it wasn’t in the “real” Marvel Universe and a lot of those characters never resonated with me in the way that their 616 counterparts did. It possible that Marvel is playing us all and the changes to the Marvel Universe will only be cosmetic. Maybe most of what we love about Marvel will be more or less the same after Secret Wars is over. All we know for sure is that this will lead to another round of multiple relaunches and numerous tie-in one-shots and miniseries. But the powers that be at Marvel sure seem to enjoy making the fans feel angst about the fate of their comic book universe. Perhaps they’re right to do so if it means bigger sales and it finally brings in new readers. However, I am extremely apprehensive about the whole thing. Alonso is fond of saying that Marvel’s history isn’t broken and the company doesn’t need to reboot even while he hints that this might actually be a reboot. To that I say, “you break it, you bought it.” I’ve come to realize that the characters’ histories are part of the reason that I care so deeply about them. Without their backstories, a lot of the same creations felt like empty ciphers in the Ultimate Universe. If the same thing happened to the Marvel Universe, it might mean that I finally have to divorce myself from this side of the hobby that I love so much. I really and truly do not want to do that. Avengers and Secret Wars writer Jonathan Hickman has signaled his desire to take some time off from Marvel after this event to focus on his creator owned comics. I think Hickman is a very talented writer, and I just hope he doesn’t burn down the castle on his way out the door. That’s how I feel about it. Unleash your opinion below! How would you fix the DC universe? I notice a trend among commenters on the blog to lament what they see as the sorry state of the DC New 52 universe. While I'm not as down on the current line of DC comics as some people, I will admit that there is a real lack of innovation and differentiation among the titles. They tend to have the same look and feel. As a result, while sales seem okay (bolstered as they are by the weekly series and gimmick covers), there is no denying that, line-wide, DC is in a creative slump that is affecting sales. 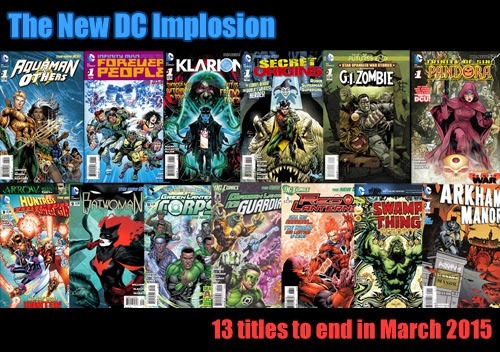 As proof of this, I offer up the recent mega-cancellation of 13 DC titles coming in a few months. As I see as the problem - regardless of how many titles DC puts out, they tend to fall into the same category, Superhero Fight Comics. And that's all they are. Then, clearly brand the various titles by genre to make it easy for readers to find what they like. In a way, Vertigo used to work like this (sort of, but I think it got confused as time went on) and I recall many podcasters who said they would always try a new Vertigo title because that was brand they trusted. Your idea's a good one, and I may surprise you by stealing most of it and claiming it as my own! If you were hoping for a wildly different answer, I hate to disappoint — though maybe I can redeem myself by explaining that I arrive at a similar conclusion by traveling a slightly different path. 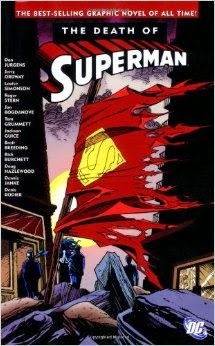 DC's success wasn't just because of Sandman or The Death of Superman. It was because, as you point out, DC published a wide variety of titles in the '90s and leveraged their corporate parentage to penetrate every existing niche market within comics. 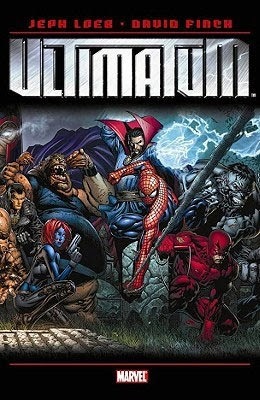 There were super-hero titles, sure — competitive ones, fighting variant-cover-for-variant-cover with Marvel and Image. Superman #75, the climax of the aforementioned Death of Superman, nearly matched numbers with X-Men #1 and X-Force #1 — heck, it outsold McFarlane's Spider-Man #1 — and it did it on the basis of a story, albeit a gimmicky one, rather than first-issue-fueled speculation. But there were also horror titles (Hellblazer), science fiction (the Helix line), fantasy (Books of Magic), crime (Road to Perdition), magical-realist autobiography (Brooklyn Dreams), and even a bit of dabbling in war and western genres. 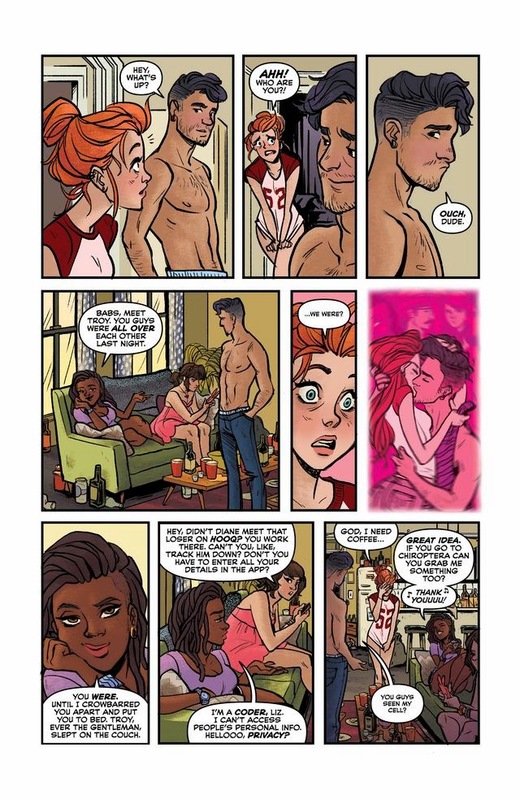 Romance even managed to come up for a breath of air via the hybrid super-hero romance Young Heroes in Love. Back to super-heroes for a moment, though. 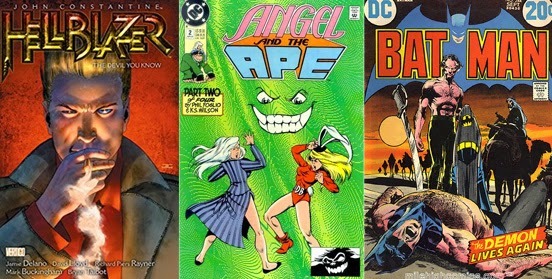 DC's titles within the genre were far from homogeneous. 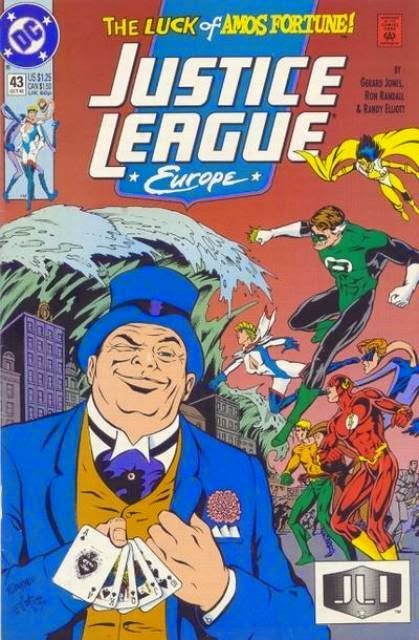 The Flash served up then-unfashionable Silver Age nostalgia, Lobo offered humor, Animal Man brought metatextuality to the fore, and Doom Patrol and Justice League Europe carved out a niche for thought-provoking mainstream comics with a philosophical grounding we might best describe as "art school comics." The variety didn't stop with the comics! DC put movies in theaters (though perhaps not ones you'd want to bring up to modern audiences) and beloved cartoons on the TV. They turned those Dini/Timm cartoons into a beloved line of all-ages Adventures books, at just the moment mainstream distribution was drying up and comics stores were strange, intimidating places for women, children, and civilians to venture into. The best part about all that diversity, though, the part no one ever mentions, is that (before Vertigo veered off into its own land at the end of the decade), it all happened in the same shared universe. 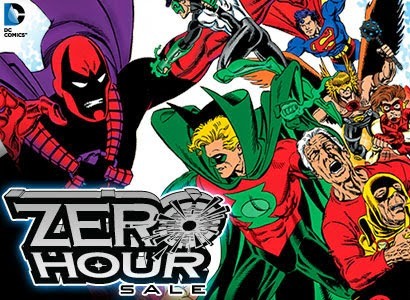 In the 1990s, when it ruled the world, DC Comics reached the apex of a publishing strategy it had had for a half century: Letting everything "count." Notice I didn't say "making everything count," but "letting" — because it doesn't take as much effort as one might think. DC pioneered the strategy of building a diverse publishing line back in the Golden Age — first by expanding into original material in comic books instead of just publishing reprints of newspaper strips, then by introducing a hybrid genre influenced by the pulps and adventure stories, the super-hero. Throughout the era, the company expanded its genre offerings to serve every audience it could find: super-heroes, funny animals, horror, crime, Westerns, science fiction, literary adaptations. Many of those genres eventually faded, but when DC reinvigorated the super-hero during the Silver Age, one of its first moves (via Gardner Fox and Julius Schwartz) was to reference and bring back the heroes of the Golden Age. 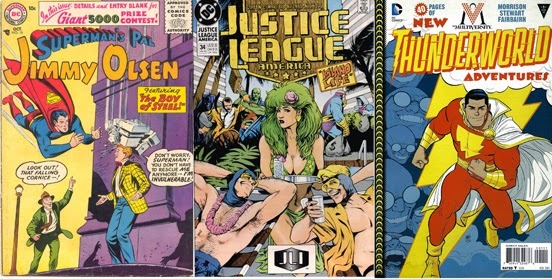 All these different comics, conceived for different audiences, existed side by side in DC's stable. And the company's leadership didn't have to work at it, as such. They just had to stand aside, remembering wise old Ralph Waldo Emerson, who once cautioned, "A foolish consistency is the hobgoblin of little minds." The world we live in is one of diversity. It's a world that comprises both ISIS beheadings and the city of San Francisco's outpouring of kindness for Batkid. Neil deGrasse Tyson exists alongside Charles Manson and Pee-wee Herman. Adherents of Richard Dawkins and those of Joel Osteen leer suspiciously at one another beneath the same sky. A DC Universe that allows Jamie Delano's vision of John Constantine, Phil Foglio's of Angel and the Ape, and Denny O'Neil's of Batman to breathe the same air is more than fun, more than a novelty. It's realistic, in a way we rarely use that word. The 21st century has brought a lot of lip service to diversity, and DC has, accidentally or by design, branded themselves as the anti-diversity publisher. While many critics focus on the narrow range of ethnic, social, national, and sexual traits among the publisher's super-heroes, we should also consider the monotony and homogeneity of their titles. Modern DC publishes, relentlessly, for a niche. What's killing the company (and saddening its fans) isn't that the niche they publish for is the lowest common denominator; it's that it's only a niche, when DC has for decades reached out to publish not just pandering fantasies for a small segment of fans but a four-color representation of the breadth of the world, as seen through the lens of comics' best and brightest creators. So what does DC need? I think you've nailed it: variety. 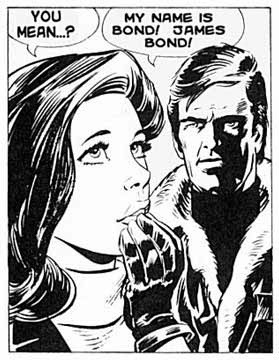 James Bond in Public Domain? 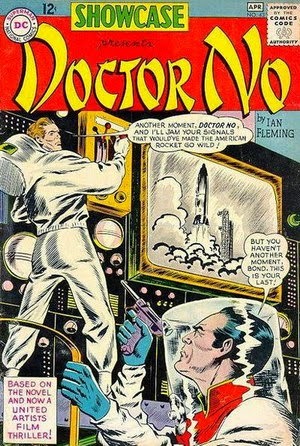 io9 had an interesting article about the fact that the early works of Ian Fleming are now public domain in Canada. Broadly, this means that Fleming's Bond books can be published and sold by anyone in Canada, there could be Canadian film adaptations of the novels, and people could write their own Bond stories. So long as they did these things in Canada or one of the other countries where Bond is now in the public domain. It gets trickier if you try to leave the borders of those countries. What the article doesn't say is how do you market such a book? One might think that the name James Bond is a protected trademark, but apparently, that's not entirely true as Danjaq LLC, the company behind the Bond franchise hasn't been able to successful secure it's brand against third parties using it. Currently, kindle (Amazon eReader) versions of the old books are selling for $7.99 but I have to wonder how long that will last. Currently, you can pick up kindle complete compendiums of of HP Lovecraft books for much cheaper than that. In case I haven’t plugged myself enough, I Co-Host a podcast called Nerds of the Apocalypse which can be found on iTunes and YouTube. Our end of year topic was the most influential thing this year for each of us. When Jim asked me for an end of year post I decided to follow suite but lean more in the comics category. Here is my top 5 most influential things for comics this year. I honestly only read a 10ish page preview of the new Batgirl book and this turned me off completely. I get that we are trying to hit a different demographic but this just seemed like too drastic of a change. I just can’t see Barbara Gordon this way. She doesn’t seem like the type that would bring a random guy home from the club and not remember it because she was drunk. Batman should have taught her better. So Marvel is going to cancel the Fantastic Four in 2015. All over movie rights? Really? I confess that the Fantastic 4 is not a book I pull but I do enjoy having the characters in the other books I read. It just seems petty to me that Marvel would go to these lengths to thwart a movie release. This mainly affects the Comic fans and we are the ones who know how bad this movie is actually going to be. It’s not like most fans who have been keeping up with the leaked news about the movie are going to see it anyway. AM I RIGHT?! I was debating if I should keep it all strictly comics or add in some T.V. or movie stuff. I decided to add at least one, the most influential, The Flash T.V. Series. Arrow and Agents of S.H.I.E.L.D. 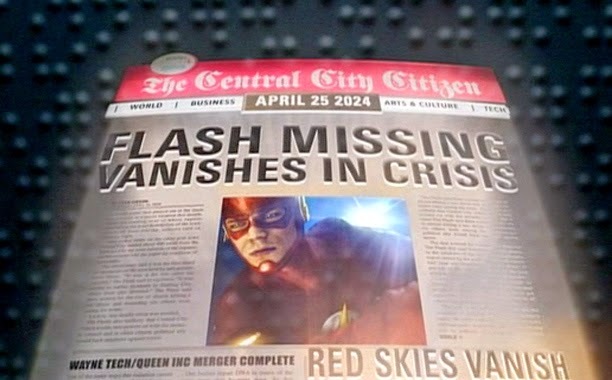 (Season 2) are very good but nothing brings the Comic book world to life more than The Flash. I literally have loved every minute of this show. The lore they introduce and characters that show up on the show are incredible. It opens itself up to almost endless possibilities. It does have its hiccups here and there (Barry and Iris) but the good completely outweighs the bad. Not to mention, it’s a show my wife really enjoys as well. 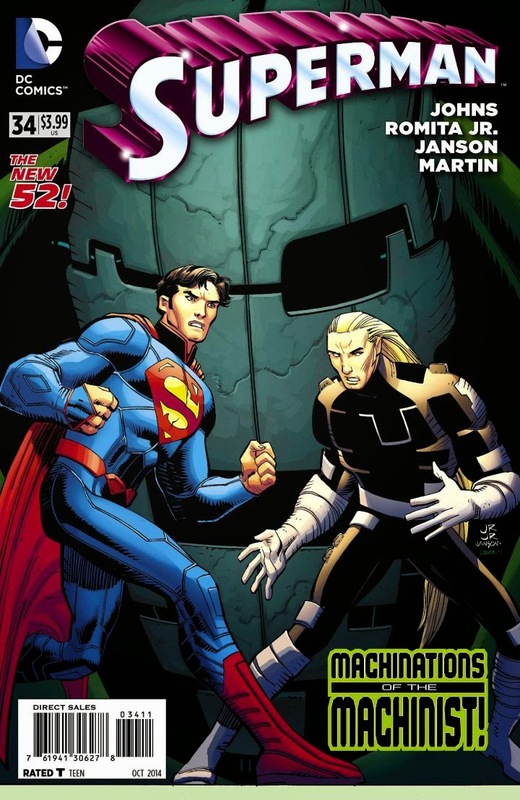 Since the New 52 began Superman was “just ok” to me. This was mostly because I was reading these books through Fanboy eyes. When Geoff Johns took this book over it finally made it an exciting read for me again. I’m really enjoying the story with Ulysses. The John Romita Jr. art does not hurt this new story direction either. 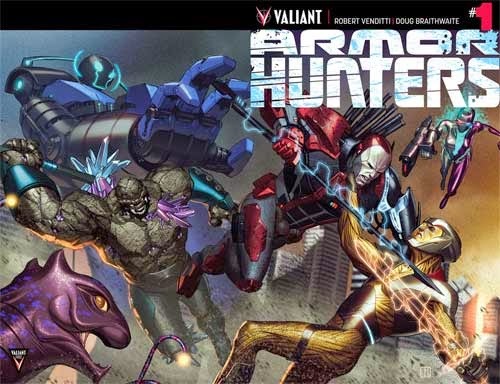 You may or may not have listened to Jim and I on our “Monkey Talk” Podcast but one of the things discussed a couple of months ago was Valiant’s Armor Hunters crossover story. Up until that point, I had never read anything Valiant. That entire crossover hit on all cylinders and I’ve now been reading this. These stories are new and refreshing. The writing and art are superb. 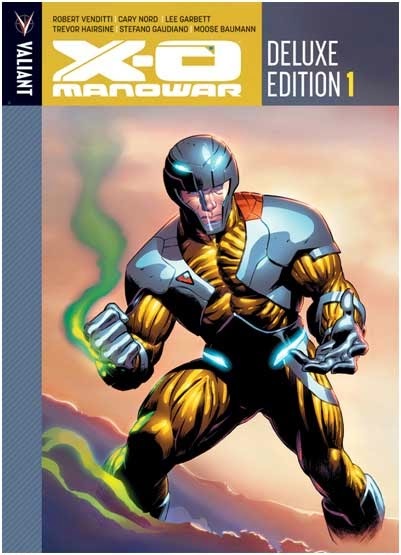 If you haven’t read anything from the re-launched Valiant line, I implore you to at least pick up and read the first few issues or the first trade of X-O Manowar. I can almost guarantee you’ll be enthralled by the story of Aric of Dacia and his battle armor. There is so much more but this is a great place to start. It’s been a great year for comics. 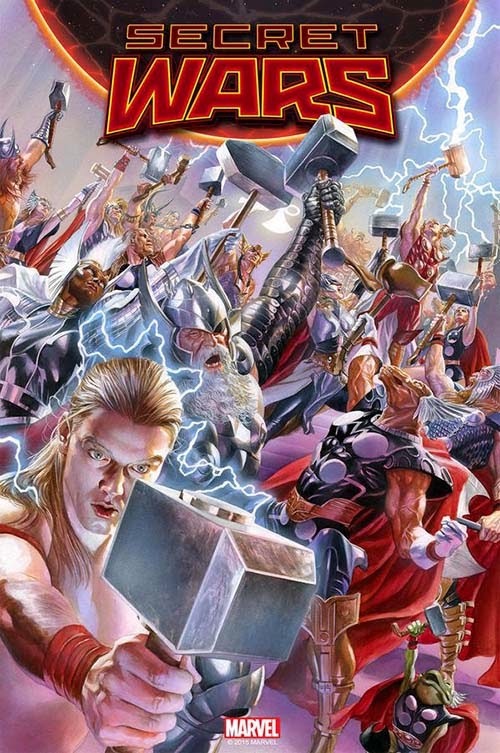 I know I’m going against the popular opinion when I say I’m really looking forward to the new Secret Wars. What most influenced you this year in comics? What are you looking forward to the most out of Comics in 2015?